Logo and corporate identity design for St Joseph’s Parish School, Weipa. 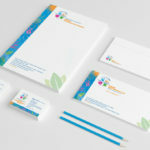 Including website, signage, stationery, report covers. Catholic Early Learning and Care. Included full corporate identity, website and signage. Advanced Diesel, Cairns. Full corporate identity, website, brochures and signage.